On November 18, 2017, the world’s largest aircraft Airlander 10 suddenly broke in two and crashed to the ground at the airfield of Cardington in Derbyshire, England, where it successfully completed a test flight a day before. There were no people onboard, but two people on the ground were injured. The aircraft developer, British manufacturer Hybrid Air Vehicles stated that “the aircraft broke free from its mooring mast for reasons that will be investigated.” The company informed that the plane was deflated and secured on the edge of the airfield. The fuel and helium inside the Airlander have been made safe. After the crash, a number of local roads and a local footpath were temporarily closed by police. A member of the HAV staff sustained minor injuries and was taken to the hospital. A separate member of staff also sustained minor injuries while dealing with the repercussion of the crash. After the incident, Hybrid Air Vehicles announced that it is starting a new phase of Airlander 10 test flights, BBC informs. The company said that the aircraft should “fly higher, faster and further” and its safety feature is to ensure that the aircraft minimises any potential damage to its surroundings in these circumstances. According to the Airlander’s developers, the aircraft has a safety system which operates automatically when the aircraft is breaking free of its mast and is designed to rip open the hull and deflate the aircraft. 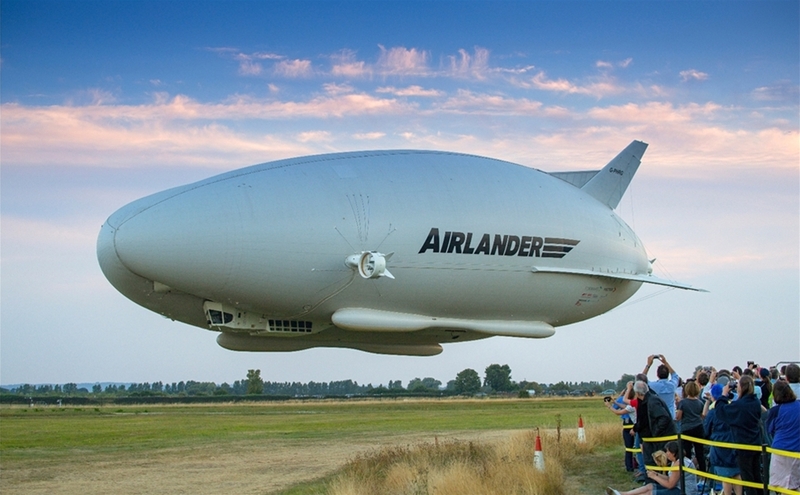 The Airlander 10 is a hybrid of an airplane, blimp, and a helicopter, and weighs 20 tons. There is no internal structure as it maintains its shape due to the pressure stabilization of the helium inside the hull. Carbon composites are used throughout the aircraft for strength and weight savings.